Inspired by the environmental agenda of New York Gov. Andrew Cuomo, and by the agitation of climate change zealots like Bill McKibben, spiritual leader of 350.org, members of the state legislature are proposing a new bill to divest the state's pension funds from companies connected to the fossil fuel industry — coal, oil, and natural gas. They argue that carbon emissions caused by burning fossil fuels imperil the planet, and thus it is (allegedly) immoral to invest in these companies. They suggest (falsely) that “green” energy sources like wind and solar can meet New York's energy needs, even though no country on Earth has yet found a viable alternative to fossil fuels. New York State Comptroller Thomas DiNapoli, a Democrat, has bravely stood up to this movement in his own party. He has condemned the proposed legislation for two compelling reasons. First, DiNapoli rejects fossil fuel divestment on the grounds that investment decisions related to state pension funds should be based solely on achieving the highest possible rate of return. DiNapoli's overriding mission is to achieve and maintain solvency for New York's pension funds. This means, in his own words, that these funds should be “managed for the exclusive benefit of the beneficiaries”, i.e. the huge numbers of current and future retirees who depend on the Comptroller to manage their retirement assets. Research has shown that divesting from the fossil fuel industry risks weakening the performance of any fund that does so. This in turn endangers both pensioners and taxpayers. DiNapoli is a professional and a public servant first, and a politician second. He does not want decisions about pension investment strategies to be determined by the whims of legislators or by the agenda of the moment. He even suggests that legislation that tries to interfere with his independent oversight of New York's pension system might violate the state constitution. Second, DiNapoli convincingly argues that continued engagement with fossil fuel producers can produce positive results. New York State is committed to an energy strategy that prioritizes less dependence on fossil fuels and more use of renewables. By investing in energy companies that have a portfolio that includes both fossil fuels and renewables, New York can exert influence as a major shareholder. It already has, in fact: it has achieved 55 agreements with companies that commit them to programs of decarbonization. Thus, New York can, by investing in fossil fuel producers, promote a responsible use of green energy. Liquidating those investments, by contrast, achieves nothing for “the planet.” It merely ensures that fossil fuel producers won't listen to New Yorkers' advice, and it guarantees that the profits these companies generate will flow into other hands on the secondary market. Although DiNapoli hasn't said so, the proposed bill can also be criticized for its simplistic view of the energy industry. Not all “fossil fuels” are created equal. Clean natural gas has become the dominant energy source for electricity production in New York state, and it has a much smaller carbon footprint than coal. Thus, by shifting electricity production from one fossil fuel to another — from coal to natural gas — we will also achieve a reduction in carbon emissions. In fact, we already have, according to the Energy Information Administration. 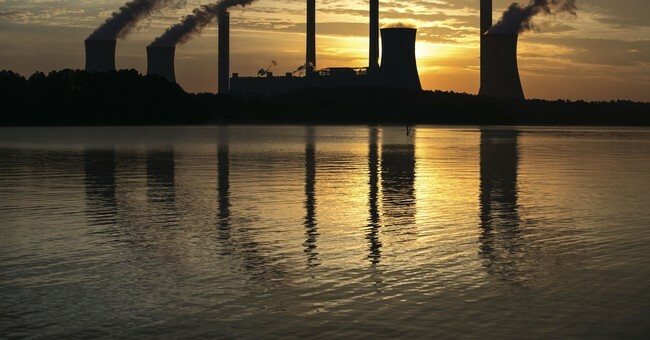 It found that carbon emissions for power generation have dropped 28 percent from 2005 to 2017 because of a shift from coal to cleaner natural gas. Arguments such as these have persuaded pension fund managers in places like San Francisco, Seattle, and Vermont — all liberal bastions — to reject divestment from fossil fuels. Mr. DiNapoli is to be commended for joining their ranks, despite the obvious political risks. By blocking the construction of new energy infrastructure like natural gas pipelines, and by promoting the concept of divestment from fossil fuel producers, the Cuomo administration and misguided Democratic legislators are showing their true colors. Meeting New Yorkers' need for energy, fully funding retiree pensions, keeping politics out of the fiduciary management of the pension system — none of these things matter much to the environmental extremists. They have cast fossil fuel producers in the role of villain in a great morality play, and they are determined to bring these companies to their knees, regardless of the cost.